The tour/attraction is closed for the season or currently not available. Please check below for details. 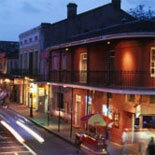 Fall in love with New Orleans all over again, America's most interesting city! Put on your beads and take a stroll down historic and, yes, scandalous Bourbon Street. Stop in a couple of nightclubs and enjoy New Orleans Jazz. 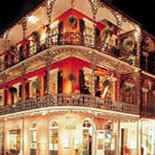 Beads, balconies and bands welcome you to the heart of the French Quarter nightly. 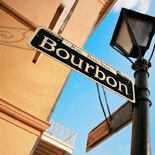 Put on your beads and take a stroll down historic and, yes, scandalous Bourbon Street. Your destination? A club dedicated to the preservation of jazz where you'll enjoy a complimentary cocktail to start your night. Your guide will share stories of how Bourbon Street evolved into an international destination for partygoers, as well as how this city became the birthplace of Jazz, the truly American music genre. After enjoying a set of foot-stomping music, you'll be enthralled with short stories of jazz and the characters of this famous neighborhood. Bourbon Street will share another jazz set by a local traditional Jazz ("trad Jazz") band viewed from VIP seating in the lush patio of Musical Legends Park. Take photographs alongside the bronze statues of some of the celebrities that have made New Orleans a music and entertainment Mecca. The tour concludes with your choice of either a cocktail or cafe au lait and beignets. Then you decide when to call it a night! 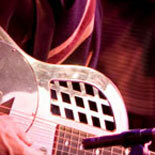 Experience classic New Orleans, make your reservations and get your eTickets today for the Big Easy Jazz Tour! Tour operates Monday, Wednesday, Friday and Saturday at 7:00 pm. Please allow for extra time due to heavy pedestrian and vehicular traffic in the French Quarter at all times. Please arrive at the departure location at least 15 minutes prior to the tour departure time. Gray Line Lighthouse Ticket Office located at Toulouse St. and the Mississippi River in the French Quarter, New Orleans, LA 70130. The parking lot fee is approximately $11.00 to $13.00 for up to 4 or more hours unless it is a special event. Reservations are required on all of the tours. This is a walking tour on uneven sidewalks and streets, so please wear comfortable shoes!